Innovators and investors can join a dedicated network providing access to an online matchmaking platform, live networking events, and more to improve the quality of deals and allow for efficient matching of entrepreneurs and investors. 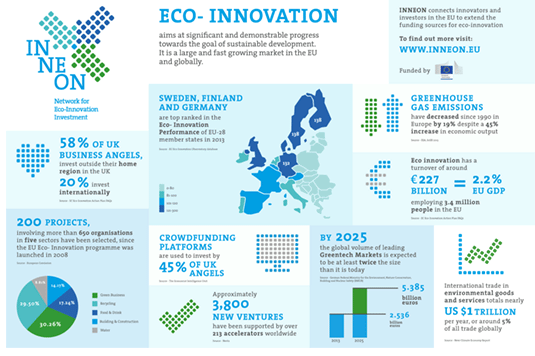 INNEON is a catalyst accelerating the commercialisation of eco-innovation bringing economic, environmental, and social benefits for the investors and entrepreneurs and beyond that for Europe at large. 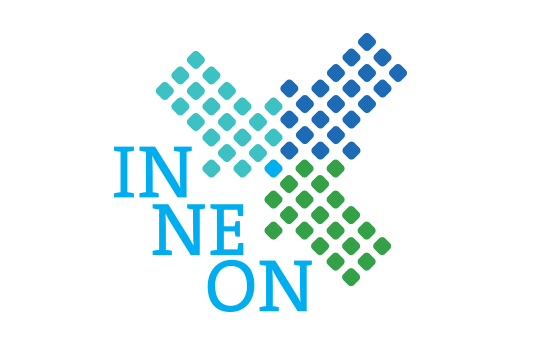 INNEON seeks to arrange quality agreements between innovators and investors, bringing eco-innovative ideas to market. The EU-funded project aims to trigger a shift in the market towards more eco-innovation and social innovation in Europe thereby contributing to a more sustainable Europe. What are INNEON’s core mission and unique values? Establishing a strategically aligned European community of interest focused on the accelerated commercialisation of innovation and social innovation. Providing a uniquely integrated service across the eco-innovation and social innovation chain, from the identification and enhancement of viable propositions followed by the development of investor-ready proposals to the facilitation of successful deals between investors and innovators. Developing a sustainable European network of selected professionals with a defined interest in eco-innovation or social innovation that will live on after this project resulting in a step-change in the evolution of the European market. What does INNEON offer investors? Access to qualified, high-quality investment propositions from innovators who have been coached by our team of expert practitioners. Access to sector specific market intelligence and know-how to inform your decision-making processes. Opportunities to co-operate with like-minded investors from across Europe. Access to professional eco-investors offering potential exit opportunities from existing portfolio companies. What does INNEON offer innovators – entrepreneurs and SMEs? Bespoke coaching support for selected applicants to assist in creating a compelling value proposition for innovative products and services leading to introductions to potential investors. Connectivity and networking with a cohort of selected fellow innovators and with investors with a specific interest in eco-innovation and social innovation allowing for an exchange of ideas, information, and advice through an online match-making platform and / or tailor-made events. The CSCP is a main partner of the project consortium and part of the Executive Committee. The Centre contributes to the project based on its experience in innovation for sustainable living and social innovation. In addition, the CSCP draws on a wealth of practical experience in entrepreneur-investor match-making. The project is divided into five main activities: developing and maintaining the IT platform, identifying and selecting investors, identifying and selecting eco-innovation and social innovation business opportunities, coaching selected entrepreneurs and SMEs to become investor-ready, and running events and dissemination of results. The CSCP leads the activity on events and dissemination as well as coaching entrepreneurs and SMEs. 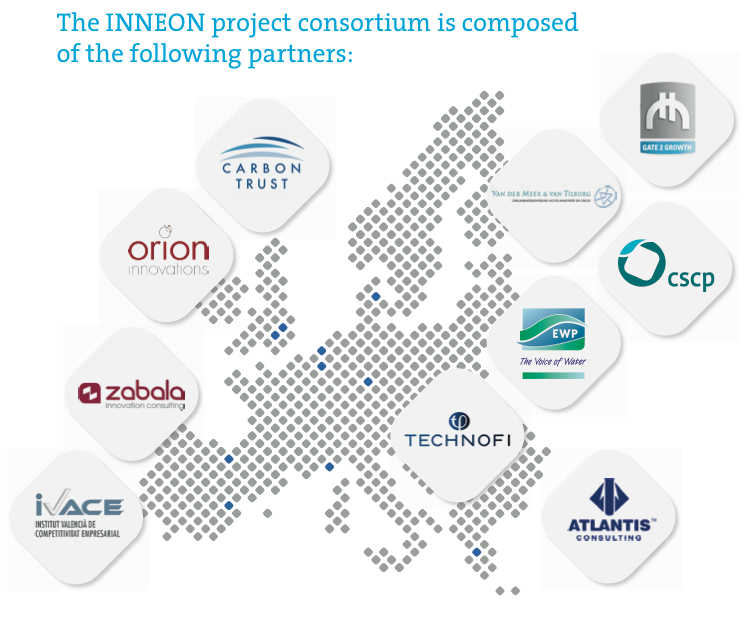 INNEON is made possible by the financial support of the European Union.